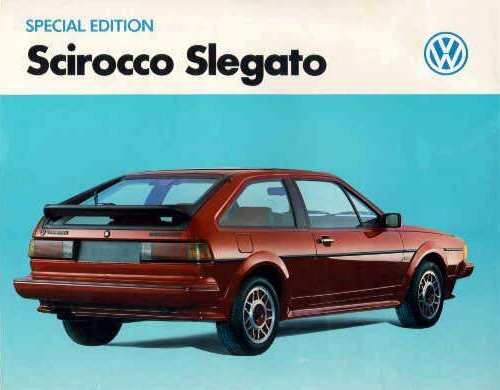 The 1988 Scirocco Slegato. A mere 127 were produced and they were only available in Canada. They are basically an 8v injection Scala with North American spec headlights and large bumpers. The 14″ Avus alloy wheels (sometimes called “Snow Flakes” in North America) and the body kit are colour coded to the body in either Paprika red(LK3A) or Helios blue(LA5Y). Heated seats and mirrors plus optional air conditioning were available. Slegato is an Italian word meaning “Untied/Unchained”. A unique Slegato logo is fitted to the B-pillar along with a Karmann logo on the front wing where the UK side indicator would be. This is the same one as fitted to Mk1 Golf Cabriolets. The Slegato sales code is S701. The North American spec bumper and headlights. Dark tail lights and North American spec bumpers. The B-Pillar badge had white writing on the Helios car and red on the Paprika. 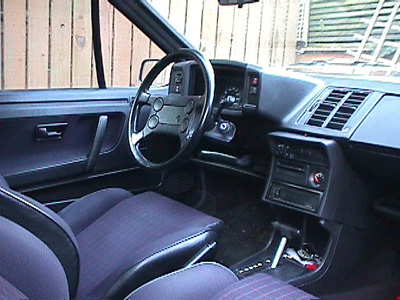 Mauritius blue Slegato interior, note auto gearbox and heated seat control. 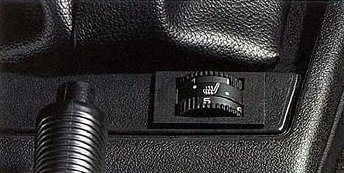 Seat heating control close up. 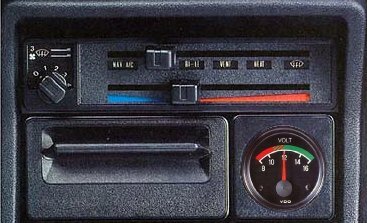 Slegato dash with GTI steering wheel, MFA and voltmeter. Some Slegatos came with air conditioning. website. Click here to link directly to it. Karmann logo on front wing/fender. 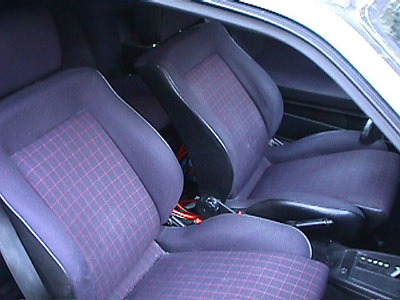 Also fitted to Mk1 Golf Cabriolets. Part No. 155 853 901. 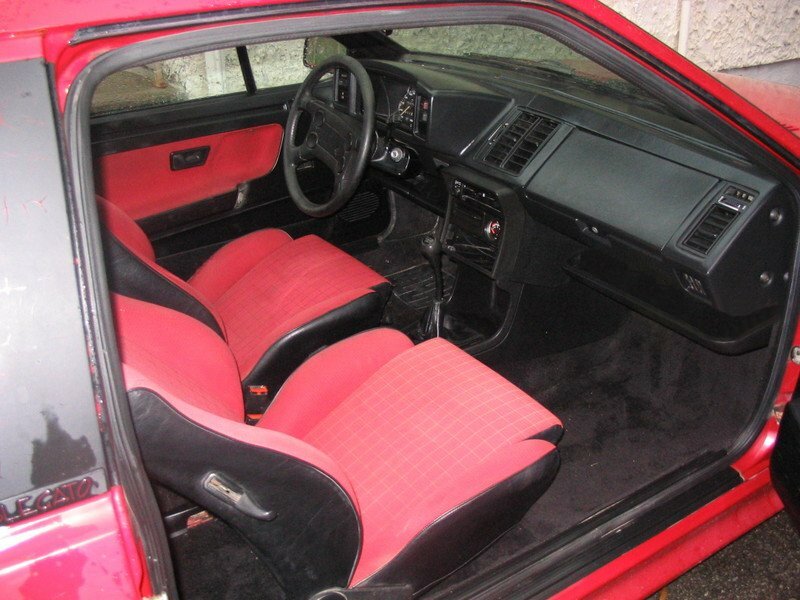 Carmine red Slegato interior. Thanks to ‘steve_m00001’ for the pic. Thanks to Marie Laugesen , Oliver Huls and Marc from Montreal for help with this page.